As part of your M.A.D project, you recently raised $646.10 at your Bake Sale to help make a difference. To date you have donated $120.00 to help sponsor a Syrian refuge family to come to Thunder Bay and $100.00 to #Schools4FortMac. Your challenge is to now figure out how you will collectively spend the rest of your M.A.D Fund to make a difference for your St.Elizabeth School Community. Work cooperatively, problem solve, be innovative, have fun and complete all parts of your math investigation to insure you have spent your money wisely and correctly. 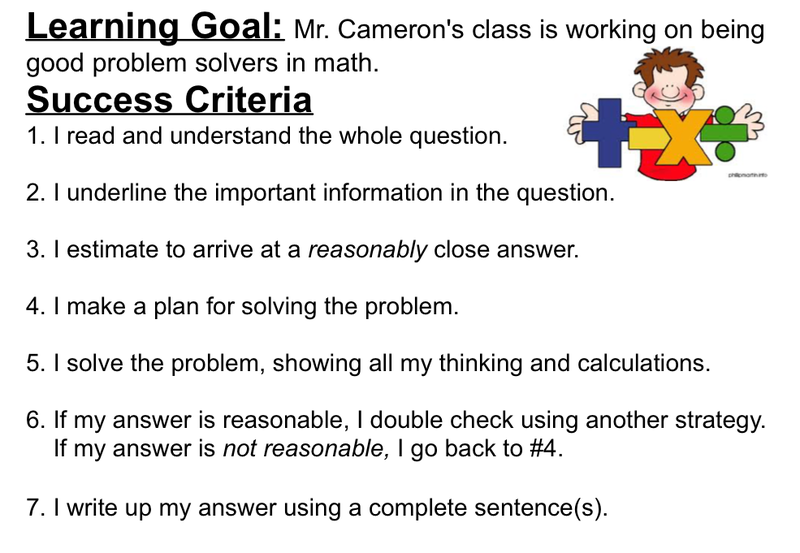 As always, use your math problem solving success criteria when completing your math problems! You may also refer to our inquiry model to help guide your decision making! You are about to embark on a math journey to Niagara Falls! This journey will test your ability to think and solve #realworld math problems! Included are multiple challenges, covering multiple strands! Use the math booklet provided and follow our success criteria for problem solving! Good luck and have fun! Click on the video link when you are ready to begin! After completing your Niagara Falls Math Journey, please fill in the following form to self assess how well you followed our success criteria for solving problems in math. Homeshare Complete and then explain your math (based on the questions below) with your parents. Look at the odometer in your parent’s vehicle. Record the number on the back of your assignment sheet. Demonstrate your understanding of the number. How does it compare to the odometer on Mr.C’s truck? These questions challenged our thinking today! We enjoyed seeing Ms Wowchuk’s class math thinking and learning! We continued to work on fractions, decimals and percent in relation to time. A big “ahha” was when we realized that 2.4 hours was not actually 2 hours and 40 minutes. We know understand why 2.4 hours is equal to 2 hours and 24 minutes. See some great math thinking below! We are exploring fractions, decimals and percent. Below is a question that have challenged our thinking today. There are many ways to figure out the answer to these questions and to double check your work. Please insure you double check your math thinking by using a second strategy where possible! We have been exploring fractions and percent in relation to our 24 hour day and how we spend our time. Today we worked on the question below. How much more or less time do you spend sleeping than your child? Can you express this as a percent? Have your child help you with the math! There was some great collaboration with our parents on our math! Below is a sample of some great math thinking!